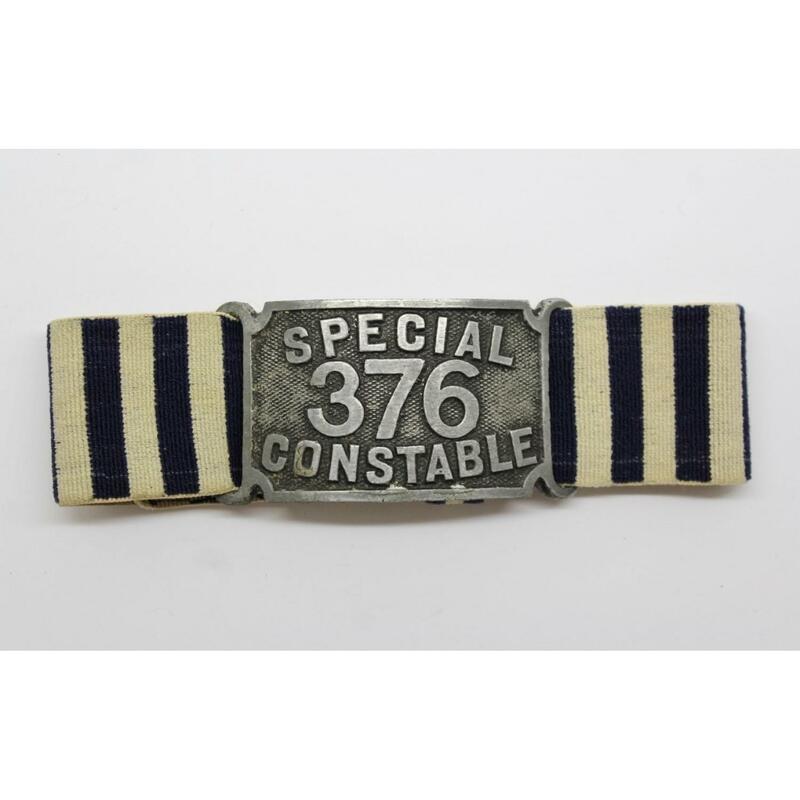 I've just brought a Special Constable Duty Arm Band showing the number 376 on its plate. can I ask, does the number meen anything? Or are they just like shoulder numbers, a way of identifying an officer until the number is passed on? could someone let me know what dates these were issued please, WW1- 2? I think these were common to many police services through the WWI and WWII period. Most of the ones in my collection have the stripes running horizontal with a couple running vertically like the one you show above. I also have one with red and white stripes and it is for a Special Constable Inspector. I like to think the ones like yours and the especially the Inspector's one I have are to the Met, but that may only be wishful thinking as I have no proof to base a solid opinion; and we both know that would not hold up in court. I have some photos (somewhere) of these being worn on civilian suits as the issue of so many uniforms during the war years to all of the new SC's would have been expensive. 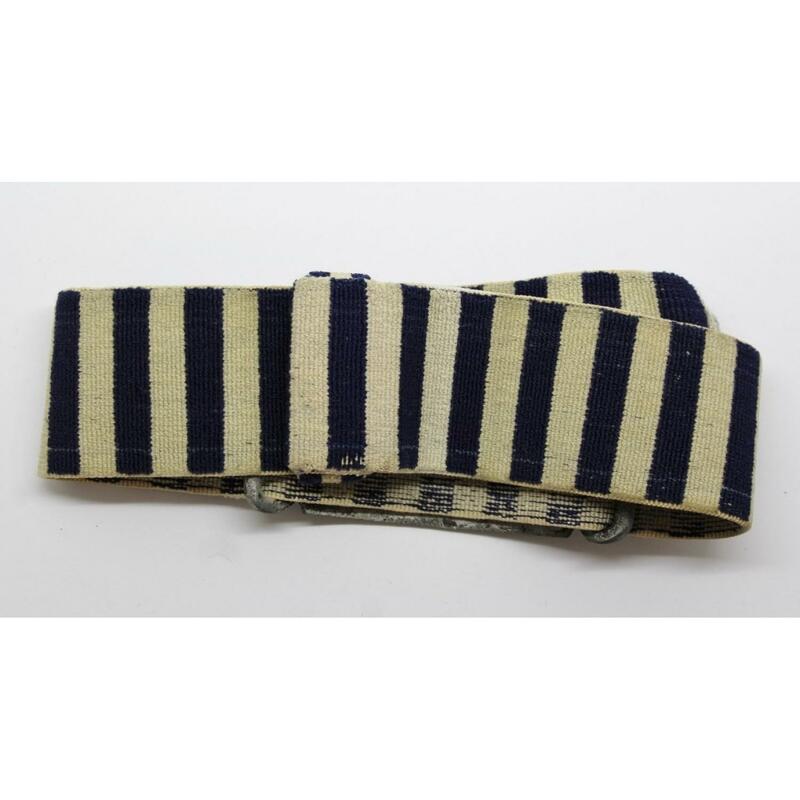 At the risk of being totally off base (a risk I take almost every time I venture an opinion), I believe the armband you have is for one of the county forces. The Met regular police as well as the Met S.C wore the band but neither wore the attached Brassard. The various Commanders of Special Constabularies across the country had a bit of flexability in terms of uniform hardware. Some chose numbered Brassards at some cost, as well as badges. Some were more conservative. There is a very fine thread on Special Constable regalia started by Brian that is filled with examples of S.C. Insignia. Mike is correct. The Metpol. issued uniforms to their SC at the start of the Great War and as far as I'm aware whilst the armlet was worn, the metal arm plate was not. Thank you gents for the information. It's very much appreciated. Due to this and the fact I only really collect Met items I'm going to put it up for sale if anyone's interested.